"Dublin may look to hold all the cards but chasing a fourth All-Ireland does leave the door open to a hungrier, younger team and Kerry will feel they have had one too many barren years now." A province in desperate need of an injection of life. It will not come this year though. Dublin have won every title, bar one, since 2005. They are pressing hard to equal the four-in-a-row of All-Ireland titles achieved in 1981 by Kerry and going straight through Leinster is the easiest way to do that. Kildare and Westmeath are on the opposite end of the draw so it is likely that one of them will get the opportunity to lose to Dublin in the provincial final. Kildare will be the most likely but their League performance was extremely poor and any team finishing with no wins and -29 on points difference cannot be very confident. No matter who they face, Dublin will win this easily at 1/20. Can anyone in the Munster province stop Kerry? Will the young guns rise? It is a new look Kerry we will see this year but the likes of David Clifford, Sean O'Shea, Michael Burns & Jason Foley will likely be familiar enough faces by the end of this Championship year. Kerry are looking for their sixth Munster SFC title in a row and it's unlikely that any team can stop them getting that. In truth, Munster do not look as strong this year as Connacht or Ulster. Cork have been in a slump for a while now. Last year they gave little resistance to arch rivals Kerry in the Munster final, going down by 11 points. Their League performances would not fill you with confidence, either. Three wins from seven just about kept them in Division 2. Cork may not even make the final this year as Tipperary football continues to grow. They made a senior All-Ireland semi-final appearance in 2016, boast a second ever All-Star award winner in Michael Quinlivan and at once stage this year were considered genuine promotion challengers. They beat Cork in the league at Páirc Uí Chaoimh by 3-16 to 1-16 and were good value for that victory. It would not be a massive surprise to see a Kerry v Tipperary final in July but expect Kerry to once again come out on top here at 2/7. There was a time when Connacht was a very uncompetitive province but those days are long gone. There are three very good teams in the mix now in the province. Mayo, Galway and Roscommon all will have eyes on winning the Connacht title. Mayo are clear favourites. Having lost the last two All-Ireland's, they are back for one more crack at the big one. Galway reached the league final this year and won the most games in the division. They came out on top in six of their seven games. Roscommon were promoted back to Division one this year in impressive fashion. The rumours are that Mayo have a full-strength panel already training hard for the Championship. But it is hard to be over confident about them. They have lost the last two matches in the Championship v Galway and some of their performances in the league left a lot to be desired. They just about held on to their division one status by drawing with Donegal, a match Donegal should have easily won. The current betting is Mayo 11/10, Galway 9/4 and Roscommon 5/2. Galway are a great bet at that price, there is an argument that Galway are the second-best team in the country now after Dublin. Mayo manager Stephen Rochford has voiced his opinion that Galway are very strong this year. Mayo won five titles between 2011 and 2015, they are not to be taken lightly and Sunday's huge Connacht quarter-final meeting between Galway and Mayo is crucial to who will win out the province. The match will be played in Castlebar and Mayo are favourites but I fancy Galway not only on Sunday but also to win the province at 9/4. The Ulster conundrum. Always the most competitive of the provinces, with some of the hardest fought games of the summer months coming from these counties. Tyrone, Donegal and Monaghan look the most likely to win the title. I can't have Donegal; they have a negative mindset. They never go for it in games and their performance against Mayo in a must-win game in the league showed a massive amount of frailties. The big clash here is on May the 20th when Tyrone take on Monaghan. Both are Division One sides and both will feel they can go very far in the Championship. Simply put, whoever wins that should win Ulster province. Monaghan may have won their league clash by a point but I'm going for Tyrone. The match is being played in Omagh and home advantage should be enough to see Tyrone through and march on to win the Ulster title at 5/4. This year's Championship will see the introduction of the Super Eight system. Here is how it works. In the new format, each team will have a home game, an away game and a game at Croke Park. The semi-finals will be comprised of the top two teams from each group. Based on my picks, that would mean Dublin, Galway, Kerry & Tyrone through and then either the four provincial runners up or the round four qualifiers. I fully expect Mayo and Monaghan to make the final eight leaving two spots for grabs. Don't be surprised to see a Leinster team sneak in too. Kildare or Westmeath will see themselves as on the easier side and will both be looking at making this stage of the competition. Roscommon will also feel they can make it. Interestingly, the new structure leaves the door open for a Kerry v Dublin final, based on both topping their groups and then winning their semi-finals. And while Dublin gave Kerry a hard lesson in the league, if this new Kerry side can click they can give Dublin a huge problem. Dublin may look to hold all the cards but chasing a fourth All-Ireland does leave the door open to a hungrier, younger team and Kerry will feel they have had one too many barren years now. Based on the odds of Dublin at 4/6 or Kerry at 5/1, you must be better off backing Kerry. 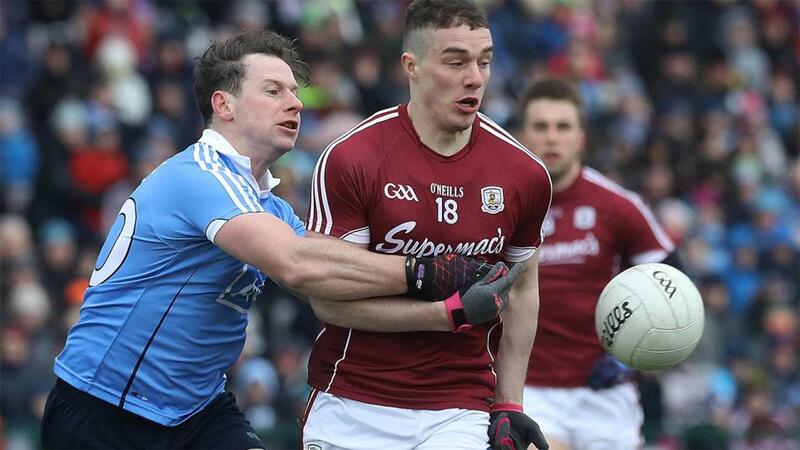 The Dublin juggernaut to finally end? We will find out in September but I'd take Kerry at 5/1.